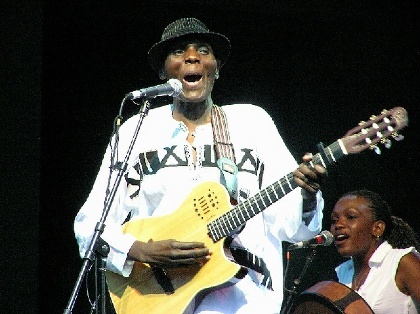 In 1998, WOMEX headed north to Stockholm, and along with Polish folksters Kroke and soul blues star Eric Bibb (USA), we brought Zimbabwean superstar Oliver Mtukudzi to the WOMEX stage! 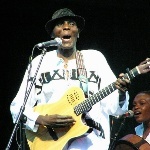 Creating his unique style – known as 'Tuku Music' – from the mixing music of the mbira with Congolese music, rock, pop and soul, Tuku has been a solid favourite around the world for decades. He played WOMEX with a full band, but if you click on the link, you can listen to a recording for BBC Africa with a beautiful solo version of his track 'Kupokana'.